Hi everyone, How was your weekend? Hope your week started on a good note. Anyway, this is my weekend recap. I had a nice relaxing weekend which started Saturday in the afternoon as I worked a few hours earlier that morning. After work on Saturday, I went for a photo shoot, which was fun with the exception of the blazing sun and heat wave which was unbearable. My photographer friend Paosin and I looked like we seriously needed a cold drink and nap. At the end, I was happy because the pictures turned out great. Leaving the photo shoot location in a haste, I forgot my brogue on the floor, right next to my car and drove away to my friend, Vera's house. When I got to her house, I realized I left my brogue...I was so exhausted and probably dehydrated that I didn't know whether to cry or laugh at that moment. Thank goodness Vera rode with me and I was fortunate to find my shoes in the same spot. She made some food, which was nice because I badly needed a meal at that point. Vera was supposed to assist me with email related questions, but instead, we chatted late till the AM...yep, girl talk never ends. In all, I had a nice time at her place, had an amazing meal and took some home LOL! Well, that's my weekend recap in a nutshell. Did you guys do anything special or have any funny moment? Awww, Stella, this skirt is amazing! Like always a fantastic Look! How did you make that skirt so beautiful! 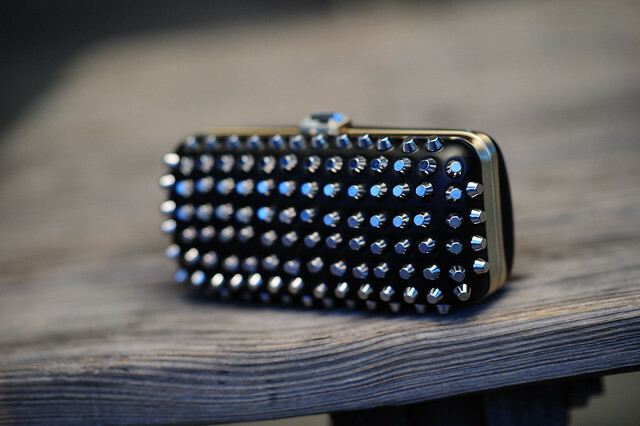 I am in loveeeeeeeeeeeeeee with this skirt!! the skirt is stunning! especially paired with the bright yellow! What a gorgeous skirt m'dear! And what a nice friend to make you food and go with you back to get your forgotten brogue! I can't believe you made that skirt ~ wow! You should start selling those! Yellow looks fabulous on you!!! 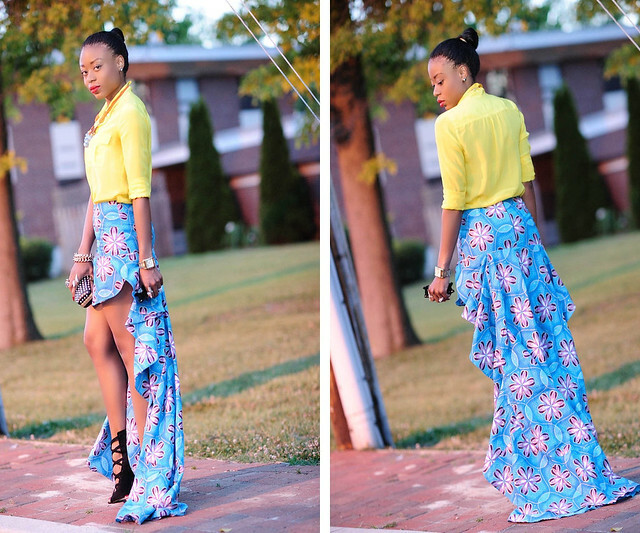 Love the high-low ankara skirt. i will literally leave a comment on each of your pictures..
im in love with that skirt!!! this look (especially that skirt) is AMAZING! Woww You look amazing, the skirt is <3<3<3!!! That's a very gorgeous hi-low ankara skirt. superbly made. love the look. This skirt is amazing! It looks great on you! I might post it on my blog and will of course link back to you. Very nice outfit! I would give anything for that skirt. Haute! That's definitely an OMG skirt! J'adore! That skirt is amazing, bold and edgy, werked! Stella! Thanks so much for leaving that lovely comment on one of my posts. I smiled so much when I read it! You look wonderful, by the way- that skirt is to die for. SO gorgeous. truly amazing love the train the skirt is stunning !! !